By Pension Lawyer Eva Cantarella of Hertz Schram PC on Thursday, August 9, 2018. Callers sometimes ask me this question, and I tell them the answer depends on a number of factors unique to them. But, here are a few things to consider. First, if you qualify for Social Security retirement benefits (SS benefits), you may choose to start receiving them between age 62 and age 70. However, if you start your SS benefits before your full retirement age (FRA), they will be reduced; if you wait until age 70, they will be increased. Your FRA depends on the year you were born; it is age 66 if your birth year was 1943-1954; it is age 67 if your birth year is 1960 or later. If you choose to start your SS benefits before FRA, for the first 36 months before that date, the benefits will be reduced at an annual rate of 6 2/3%, or five-ninths of 1% per month. If you choose to start your SS benefits even earlier, they will be further reduced by 5%/year, or five-twelfths of 1% per month. For example, if you choose to start your SS benefits four years before your FRA, the benefits will be reduced by a total of 25% (6 2/3% for each of the first three years plus an additional 5% for the fourth year). On the other hand, if you choose to start your SS benefits after your FRA, you will receive a permanent 8%/year increase in your benefits until age 70. For example, if your FRA is age 66 and you choose to start your SS benefits at age 70, your SS benefit will be 32% larger than if you had started benefits at age 66. So, which way are you better off? Should you wait until age 70 when your benefits will be larger? Or should you claim early so you can receive the benefits (albeit smaller) longer? If you live past your SS break-even age, the larger benefits you receive from delaying the start of your benefits would seem to be the wiser financial decision. But, if you die before your SS break-even age, you effectively leave money on the table. 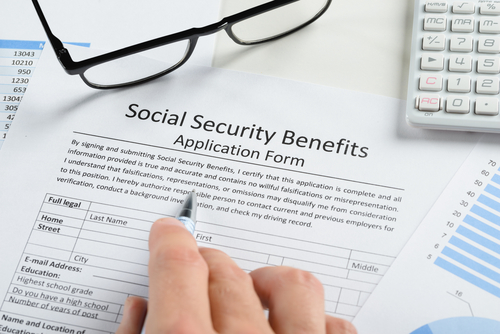 Perhaps for this reason (or because many Americans fear the SS system will run out of money), approximately 45% of eligible SS recipients start their SS benefits as soon as they can, at age 62. Very few SS recipients wait until age 70 when their SS benefits would be greatest. However, roughly half of today's 65-year-olds are expected to reach age 80 and 25% are expected to reach age 90. The larger SS benefits available by delay could help mitigate the risk of outliving one's retirement savings. If you are in poor health, have a family history of dying early, or work in a job that is physically demanding, you are less likely to live until your SS break-even age, in which case, it may make sense to start your SS benefits early. Additionally, if your future employment prospects are limited, or if working until your FRA or later is not an option AND you need the money, the choice has effectively been made for you. It is also important to understand the so-called SS "penalty" for working while receiving SS benefits before FRA. In that case, the SS Administration will withhold $1 in benefits for every $2 of job income you receive above a certain figure ($17,040 for 2018). HOWEVER, those SS benefits are NOT forfeited. They are deferred and paid back later with interest. So, there is no actual "penalty" for working while receiving SS benefits before FRA. Once you reach FRA, there is no limit on the amount of money you may earn and still receive your full SS benefits. Unfortunately, confusion on this issue has lead some people to prematurely stop working or reduce earnings, thereby unnecessarily diminishing their retirement savings and retirement security. If you depend on SS for most or all of your retirement income, you won't be taxed. However, if you take withdrawals from an IRA or receive other taxable income while receiving SS benefits, some of your SS benefits may become taxable. Therefore, you may wish to consider taking withdrawals from your IRA [after age 59½ to avoid the 10% early withdrawal penalty] before you commence your SS benefits in order to reduce your taxable retirement income when you do start claiming the benefits. Consult a qualified fee-based financial advisor and CPA to advise you. As you can see, there is no simple answer to the question "Should I delay collecting Social Security retirement benefits in order to receive a higher monthly benefit?" Much depends on your own personal situation, including your health and anticipated life expectancy, employment prospects, whether you need the money sooner rather than later, and unanticipated future events. But, hopefully, this Post will give you some direction to help you answer the question.